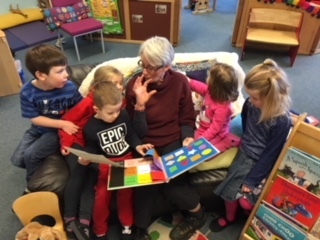 We are working with older people in our community to support children's learning. Want to know more? Our online payments system has arrived. You can now make payments to the school for your child's school dinners, trips and various activities. Click the ParentPay logo to access. If you do not have your activation letter for ParentPay, please e-mail auchterarder@pkc.gov.uk to request a copy. We strive to provide a meaningful and effective education for all our pupils by creating a caring, tolerant and purposeful environment for teaching and learning, where staff can deliver a relevant curriculum which is responsive both to the need of individual pupils and to those of a changing society. Central to this is a strong partnership between staff, pupils, parents and the wider community. It gives me great pleasure in presenting our website. It contains a wide range of information, which we hope you will find useful and interesting. It's not just about sharing information though, we hope you interact with us here; we often ask for your input through online surveys which you will find within the site. Don't forget to check out our information videos here too - they are designed to demystify some of the jargon-filled information parents often receive from school, making them straight-forward & simple to understand.